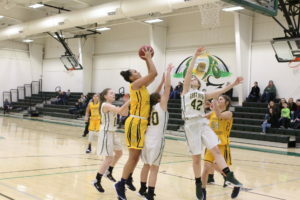 The Falcons swooped into the Den and left East Hardy in a dense fog, dazed and confused after pouring down 11 3-pointers en route to an 87-60 victory in Baker on Friday. 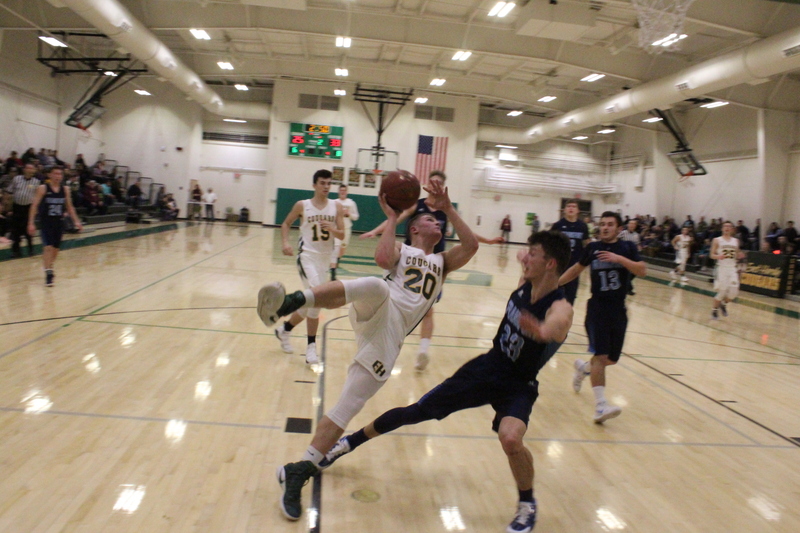 Leading the barrage was Frankfort’s Zack Whitacre with five 3-pointers for a game-high 21 points, followed by Drew Mauzy with 15 points, Parker Riley with 14 points and three treys, Austin Vance netted 12 points Blake Wasson added ten points including a pair of trifectas. “They started making shots, hitting 3-pointers two or three feet behind the line. 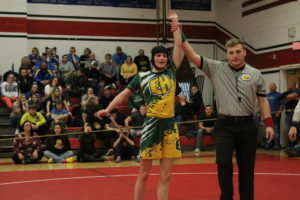 Earlier they weren’t going in, but clearly they were pretty confident with it because they kept shooting and finally they started falling,” East Hardy Coach Chris Hahn commented. 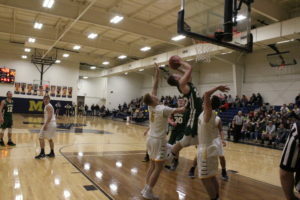 The Cougars (4-4) struggled from the field hitting only 40 percent, but managed to have three players score in double figures with Jesse Dove scoring a team-high 14 points with two 3-pointers, followed by Brett Tharp with 13 points and one trey, plus Drew Kelican pitching in 11 points with two 3-pointers.